How Can Meditation Help Your Trading – Helping Traders to succeed! Generally speaking, it is very hard to find someone who can hand on heart say practicing meditation and/or mindfulness has had a negative effect on their performance, whether it be in Trading or in another domain. Why is that? Well, the reason is that performing regular meditation has the effect of calming your mind and relaxing you, which obviously then enables you to perform the task at hand more efficiently and to a higher standard. But actually, it can also have the effect of bringing into your awareness the subconscious thought patterns in your brain that may very well be sabotaging you from achieving your goals. The key word in last paragraph is regular. Performing meditation once or twice and then expecting to transform your trading akin to Paul Tudor-Jones’ performance is probably a tad unrealistic. However, if you can incorporate it into your daily routine, then as many traders will attest, it is highly likely that you will see an improvement in your overall performance. Really understand this… your habitual thinking patterns are the cause of your reality right now. Why is that? Well thoughts lead to you feeling in a certain way. Those feelings bring out particular emotions. Now based on your emotional state, your actions (behaviours) will follow suit. What you need to realise is that your trading results are not made from what you were predominantly thinking about at dinner last night, or at breakfast this morning. Rather, they are the result of thousands and thousands of repetitions of a particular thought pattern over a sustained period of time – your results are created from our subconscious mind. “So how do I monitor my thoughts?” I hear you ask… Well, the difficulty you have is that psychologists have estimated that the average human experiences up to 60,000 thoughts a day – the majority of which are in the subconscious mind in automatic mode. This is where meditation can come in to play. Meditation done properly, can help you to focus in on the particular thought patters that take place in your subconscious mind and become aware of what is really going on. Obviously, if you are not aware of what is taking place, how can you take corrective measures? However, when you do become aware, it is then possible to bring your subconscious mind in line with the thoughts in your conscious mind, and this in turn will assist you in achieving the results that you truly desire. Meditation will also bring you into the now, the present moment. It will enable you to focus in on your daily goals and tasks with more precision, and as such, you will be able to accomplish more in less time. This in turn will make you feel good, bring you in line with the positive, which is then absorbed into the subconscious mind – as such, in the long run it can help ingrain a more positive based subconscious mind. What is important to understand that these changes are subtle and take time. As mentioned earlier, do not expect drastic changes after meditating just twice. You need to give yourself time to adjust and adapt to create lasting change. Incorporate meditation into your daily routines and rituals. If you can learn to meditate efficiently and consistently it is highly likely that you will see positive changes not only in your trading but your overall mental well being. I strongly suggest that you give it a go, even just starting out with an initial 10 minutes a day can create big shifts. After all, what have you got to lose…? Next Entry:Where is your focus? Pingback: Patience and Trading… – Helping Traders to succeed! 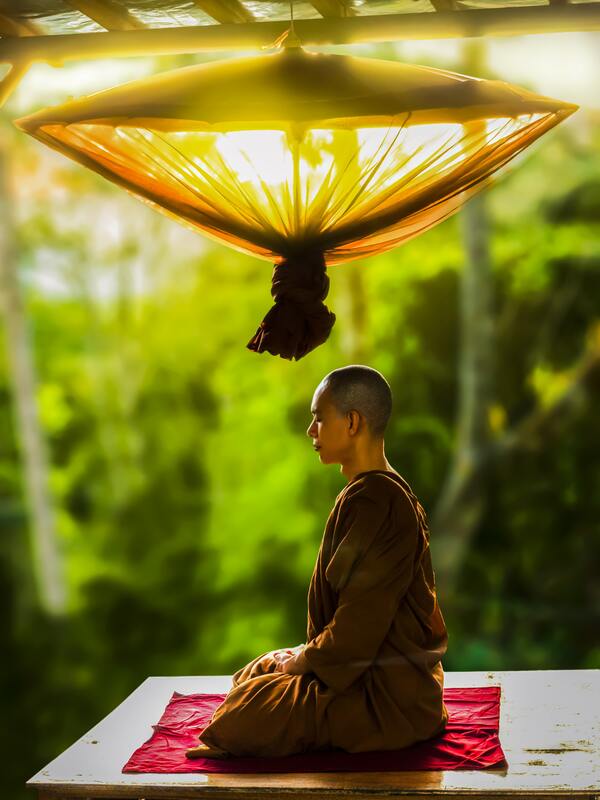 Pingback: Mindfulness Vs Meditation – Whats the difference and how can it help YOUR Trading? – Helping Traders to succeed! Pingback: Do you feel like you facing a ‘brick wall’? – Helping Traders to succeed!